The poster was hanging in a Plymouth EE store, despite the southern city being 120 miles away from Bristol, the nearest city with EE's 4G LTE connectivity. The newly-formed network turned on its 4G service on October 30, but has so far only rolled out the faster speeds in major cities around the UK. He said: "The poster claims that the iPhone 5 on the superfast 4G system is available now in Plymouth and is five times faster than phones on 3G. That is a lie. "I believe it is misleading in the extreme to suggest that an iPhone 5 bought in Plymouth would work on 4G and operate five times faster than on 3G when that service is not available here and no date has yet been announced for its introduction." The Telegraph is reporting that it has seen an emailed reply from that a Trading Standards officer, admitting that the presence of the word 'here' could be construed as misleading. In a statement, EE said the poster had been hung in error and apologised for the confusion. It is not yet clear whether the company will be reprimanded for the mistake. "The wrong poster was put up in one of our Plymouth stores," the network said. "We have over 700 EE stores across the country and would like to stress this was an isolated error for which we apologise. The poster has since been removed." 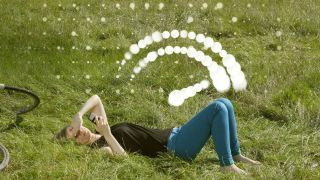 EE plans to have 98 per cent of the UK saturated in lovely 4G LTE connectivity by the end of 2014. Perhaps Plymouth will now be moved a little further up the list of cities waiting for faster mobile internet?